Dyslexia and the IEP. The heart of any meeting, including IEP meetings, is communication. But good, productive, cooperative communication is hard. In many situations comments and words can be taken out of context and twisted to fit the narrative of someone else’s point. Sometimes secondhand accounts of what was said is fun to use to make a point, but it isn’t always an accurate reflection of what was actually said. IEP meetings are not immune to miscommunication, lack of communication and good old fashioned twisting of words. 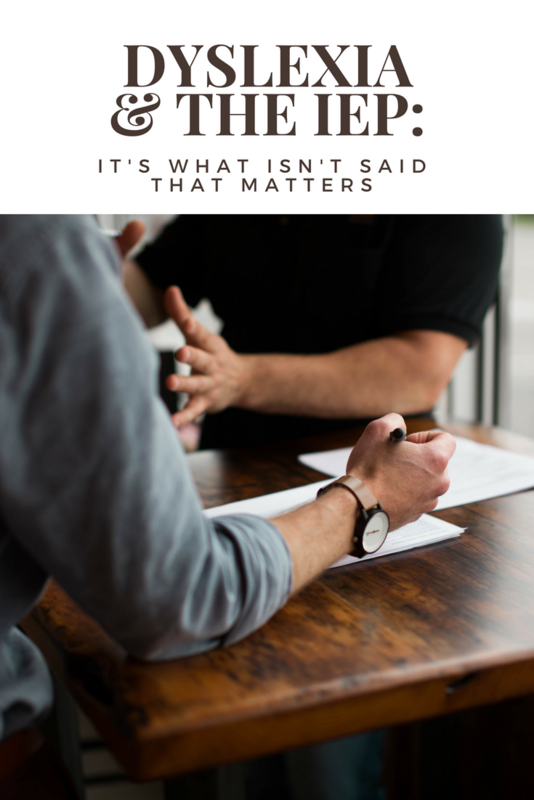 Remembering what was said during a meeting is a challenge, so I took the liberty of having some meetings transcribed and took a good hard look at what was actually said, or as it turns out, what wasn’t said, to try to find out how to improve communication. I very loosely filtered the selected conversations through the filter of Grice’s maxims. For a brief description of these maxims, click here. The conversations analyzed were the parts of the meeting when the parents and/or advocates asked specific questions. This IEP meeting was held for a 3rd grade student. Her mom attended the meeting without an advocate. The mom was attempting to determine what strategies the school was going to use with her daughter, who had recently been diagnosed with dyslexia. The mom knew that under IDEA the strategies used have to be ‘evidence-based’ for a student with dyslexia. School: It will be specialized academic instruction geared towards her individual needs. I mean we could even use those reading markers so she can read sentence by sentences. Parent: We’ve done all of that. School: I mean it’s different things and it’s practice. The response of the school is offering the statement, “…instruction geared towards here individual needs” is not enough information for the parent to understand what that instruction will be. This is an obscure answer that doesn’t provide information about what the Specialized Academic Instruction will include. The comment “It’s different things” is vague and unhelpful. The school’s response to the parents’ contribution of, “We’ve done all of that’ with “it’s different things and it’s practice’ implies that the student needs to try harder. It’s a blaming the victim implication. If the student would practice more, there would not be a problem. Parent: And then does she [crosstalk]– was she assessed for assistive technologies? Because I know for her testing she’s going to be having a– oh, sorry. Was she assessed for assistive technologies? School: Assistive technologies is more– if I understand it correctly, it’s geared toward students that are non-verbal, so it helps them communicate. School: So it’s like lower incidents disability, so it wouldn’t be appropriate for Alyssa. Or it could be non-verbal, it could be kids who have very severe, for example fine motor [crosstalk] that requires certain technological support. Parent: Yeah. Oh, I thought because it’ll help if she’s older, if she gets like a science book and she going to need to have that on audio if she’s not at a reading level where she can read like that. School: I think what we need to do right now, focus what are the needs that she has at this point and go from there. And we hope that the gap doesn’t get bigger and we have to go down that route. Right now, we have to provide her with what she needs at this point. There’s all kinds of different [crosstalk]. The statement about AT is not true but it is less likely a blatantly misleading comment and more likely a response that was based on a lack of training which led them to believe what they said. Under IDEA any student with who is identified with a learning disability has the right to use Assistive Technology and an Assistive Technology evaluation should be completed. The school’s response to “…focus what are the needs that she has at this point and go from there…” is irrelevant to the prior conversation. It could also be the school’s way of opting out of the conversation about Assistive Technology. This meeting was held for a 6th grade student. Her mom attended the meeting without an advocate. The mother previously sued the school district and this was the mandatory annual meeting. The mom was attempting to determine what strategies the school was going to use with her daughter, who had recently been receiving services from an outside provider and homeschooling. The mom knew that under IDEA the strategies used have to be ‘evidence-based’ for a student with dyslexia. School: Well then, I’ll start off with that one which was this one, Where Do People Live? Parent: So is that considered 3rd-grade level or 2nd-grade level? It’s approaching the 3rd-grade standard because the expectation for the end of the year, we would want 3rd graders to score at a 520. The school’s response is not enough information for the parent to determine what grade level the student was actually reading at. Lexile levels vary by several hundred points per grade level, and a level can cover two grade levels. The answer was vague and failed to avoid obscurity. The use of the word ‘approaching’ is avoiding the acknowledgement that the student is not at grade level. The school was implying that the 500 Lexile level was acceptable because it was approaching grade level. But that did not answer the the parents’ direct question. Mom: Okay, so what would you like – okay, how do you want me to start? School: I’d like you to tell us about how her homeschool day looks and her curriculum is. I have a lot today here, but if you could just take like an average day and talk through it. Mom: But see her days aren’t average. That’s what you have to understand. In this situation the IEP team member purposefully avoided the conversation by leaving the room. It is possible the school was also opting out of the conversation by physically removing themselves from the room. During the coffee break, the conversation continued between the mom and other staff members. When the school administrator returned from the coffee break, she was abrupt and refused to engage in a conversation about the days not being average. This meeting was held for a 4th grade student and was the second meeting. His mom attended the first meeting alone and this meeting with two advocates. The mom was attempting to determine what strategies the school was going to use with her son. The mom knew that under IDEA the strategies used have to be ‘evidence-based’ for a student with dyslexia. Advocate: Nick has diagnosed dyslexia, what are you going to be doing with him during this collaboration consult? What does that look like? What is—It’s kind of vague in both whole and small group and what exactly is going to be happening during that time? Advocate: Do you have any evidence that shows those work with somebody with dyslexia? School 2: I think we went through that already in the last meeting where we discussed the strategies that we we’re going to implement. Advocate: I don’t remember that, but it has to be evidence-based. I requested evidence via email actually and never got that. The school refused to provide enough information for the parent to be a participant in the meeting and determination of appropriate remediation. No strategies are ever named or suggested. The school’s answer was vague. They never mentioned what the strategies were and refused to repeat what they said was discussed in a previous meeting. When the advocate asks for evidence, which is required under IDEA, the school opted out of answering the question. School: That one hour a week would be with Joe. Advocate: And you’ll be using the ‘Fix-It’ strategies that she sent you? School 1: Right, among other things. Advocate: So, it’s an eclectic approach? Advocate 2: What would be the other things? School: The multi-sensory approach, using what we talked about, which [unintelligible 00:09:13] goals, which is regards to the highest-frequency spelling words where he would spell high-frequency spelling words. Advocate: How do you teach those? Advocate 2: When you’re doing that multi-sensory approach, can you explain that a little bit clearly because I just don’t have a lot of clarity about, like, what’s happening to teach them decodable words? The school did not answer the question with sufficient detail for the advocates to ascertain what would actually be used. This is the third time the parent has asked for information about the strategies. Advocate: Who would be providing this instruction in the General Ed? School: Probably the support teacher or the lead teacher. Advocate: Okay, so they aren’t actually highly-qualified for SAI? School: They would be working under the direction of the Ed specialist. Advocate: So, you would be there, you’ll be training them how to work with him? School: I’m here two days a week, and the days that I’m here I’d be working with them in that group. The question was not answered with sufficient detail for the advocates to ascertain what would actually be used. Under IDEA the teacher is supposed to be ‘highly qualified’ the school did not provide an answer to the question about who will be teaching. With the response, “They would be working under the direction of the Ed specialist’ is either opting out or flouting this maxim by not providing a specific answer. The answer is ambiguous. It was never made clear who is going to work with the student. Advocate: One last question, perhaps I shouldn’t ask it, is how does what you’re proposing teach a student with diagnosed dyslexia? School 2: Well, I also think that we went through that last week. Advocate: I don’t remember that conversation. School 1: No, last week we didn’t. Mom: [unintelligible 00:13:14] It would be great if we can get more answer, just– We also had the IEP few times, so, sometimes we [unintelligible 00:13:23] the first time. So, we appreciate if you can just tell us. School 2: The evidence is based on [unintelligible 00:13:49] his growth that we have seen in order to support [unintelligible 00:13:52] was here training us. And the growth that he had in his levels to show that he is able to move up in grade levels. The question was not answered with sufficient detail for the advocates to ascertain what would actually be used. This is another attempt to find out what strategies will be used. The answer, ‘evidence is based on his growth…’ doesn’t make sense as a response to the question and it is ambiguous. It isn’t clear who is going to work with the student. School 1: He would get the training that he needs in order to work with your son. He would get the skills, the training and the skills he needs. School 1: Joe would, yes, he would. Advocate: He’s going to get trained. School 1: He would get whatever information he needs in order to be able to work with Noah as a student with dyslexia. School 1: I can’t tell you what that training would look at this point but that he would get the skills that he needs in order to work specifically with Noah. Advocate: When would that happen? The question was not answered with sufficient detail for the advocates to ascertain what would actually be used. It is still unclear who will be working with the student and if they are qualified. There is a requirement under IDEA that the personnel working with students be ‘highly trained’ and the school’s response did not provide this information. The answer is vague and it still isn’t clear who is going to work with the student. Individualized Educational Program (IEP) meetings can be very contentious. There can be an ‘us and them’ mentality that surfaces despite the spirit of the parent participant stipulation in IDEA, which requires parents to be an equal part of the IEP team. The three meetings in this analysis included mothers who attended either alone or with two advocates. Each parent asked very specific questions regarding the interventions and strategies that are being proposed to be used with the students. Parents gather this information in order to be part of the team and be involved in making instructional decisions for their student which is supported by the 2004 IDEA. This analysis only focused on the portions of the IEP meetings when the parents asked specific questions that would allow them to collect enough information to be a full participant in the decisions regarding the education of their children. There was a pattern of insufficient answers to specific questions. 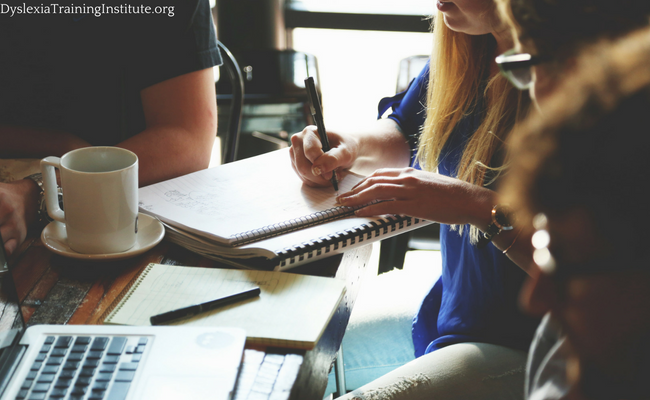 A failure to provide enough information to each IEP team member, under IDEA, can be a serious violation because it can limit the parents’ ability to be an informed member of the IEP team. In Gricean terms, in the conversations above the school did not provide direct and/or informative answers. Restate the question in several different ways until you get an answer with specific information that is enough to make an informed decision. Repeat the answer you receive back to the speaker for clarification. The 2004 IDEA includes parent participation as integral part of the development of IEP. Parents (and students) are part of the IEP team. The exchanges that were analyzed in these three IEP meetings show a possible pattern of parents being prevented from participating in an appropriate way due to a lack of information to make informed decisions. In some case this could be a serious procedural violation with serious implications. Lastly, I acknowledge that this is only three meetings out of thousands that are held every day and every meeting is not reflected in the above conversations. However, in my experience, they are representative of the meetings I have attended. The purpose of the above analysis is to help all the team members understand that what isn’t said is as important as what is said. An IEP team really can’t make informed decisions when the information presented is lacking in quantity. There just isn’t enough information. We wouldn’t buy a car without asking a dozen questions and receiving a dozen specific answers, so why would we decide the fate of our children’s academic future based on insufficient information and vagueness? 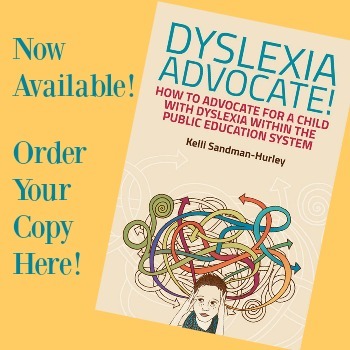 This entry was posted in Advocacy, Dyslexia on May 21, 2018 by Dr. Kelli Sandman-Hurley. This is really excellent. It’s hard to ask when you don’t know what to ask and it’s hard to know what to listen for when you really have no idea. 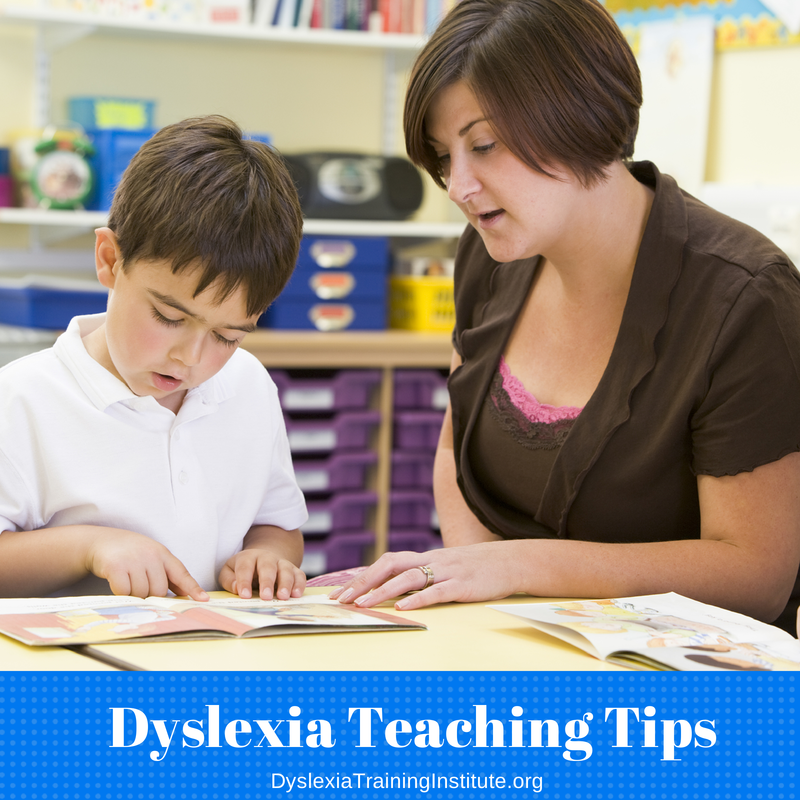 I’ve had to learn quickly about the IEP process and dyslexia – what it is, how to help, etc. I feel like I should be awarded a degree in something i read so many books and cases and statutes and regulations and guides in the last 6 months. This sounds a lot like my meeting, until I dug deeper and asked, “Well, who will be responsible for finding that out?” ” Who will be responsible for making sure that is done with fidelity?” Thank you! Thank you so much for this information. 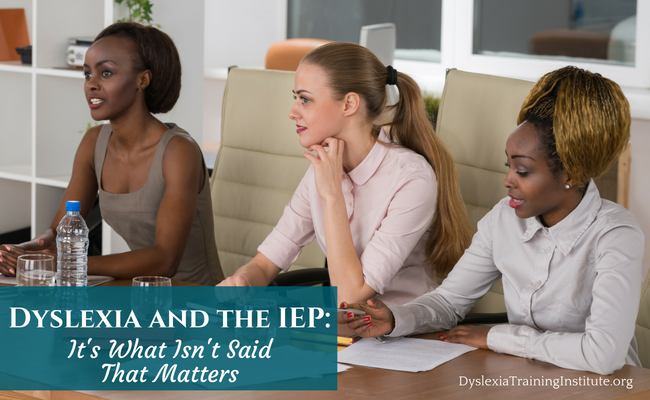 As a parent of two dyslexic boys and a public school teacher, I always find those IEP meetings difficult. I will be sure to share this with others in my same situation. 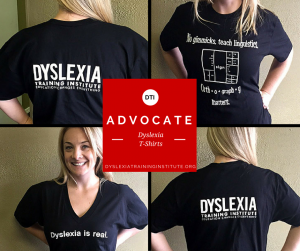 Follow Dyslexia Training Institute on Pinterest!